The Tutorial Edge Coaching Centre of Higher Education was established in 1st April 2010 in the direction of Qualified and Experienced Personality Mr. Bhupender Sachdeva. Tutorial Edge Coaching Centre is Famous for Advanced Maths | Accounts Classes from last 4 years Where Specialized Coaching of all Subjects is provided by well educated and Experienced Faculty. 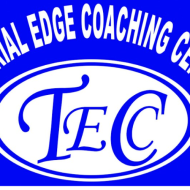 Popularity of Tutorial Edge Coaching Centre is Due to Committed Services, Reasonable & EMI Based Fee Structure, Experienced and Qualified Faculty, Regular Test Series to judge Performance and Blessing of our Elders. To create a best hub of modern education system in Tutorial Edge Coaching Centre we start providing coaching of all other subjects related to commerce study like-Economics,Law,Tax,,F.M,Cost,Stat in 2010 by experienced and qualified faculty. Contact for Classes : 9th, 10th, 11th, 12th, B.A, B.com, B.Sc, M.A, M.Com, M.Sc, BBA, BCA, MCA, CPT, A.I.E.E.E, IIT, BIOTECH, B.TECH (CBSE, ICSE, HBSE, DU, MDU, K.U., AGRA). Subject : Maths, Statistics, Accounts, Economics, Physics, Chemistry, Income Tax, Cost Accounting, Corporate Accounting, Financial Accounting. Tutorials edge conducts classes in Class 11 Tuition and Class 12 Tuition. It is located in Railway Road, Gurgaon. It takes Regular Classes- at the Institute.